Strong muscles keep your body upright and allow you to move. Good muscle strength and balance are critical to maintain proper posture and minimize muscle tension. 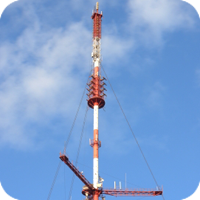 Your muscles function much like the wires that hold up a tall radio or television antenna. If the wires are equally strong on all sides, the antenna will stand up straight. If one of the wires becomes weak or breaks, the antenna will either lean to the side or collapse. The same is true with your body. If the muscles on all sides of your spine are balanced and strong, your body will stand up straight and strong. Unfortunately, most people don't have balanced and strong muscles - due, once again, to lack of exercise and to misalignments of the spine. Muscles are very efficient at getting stronger or weaker in response to the demands placed on them. Since most of us sit at a desk, drive a car, and sit on the sofa at home, many of our muscles are not challenged. Consequently, they become weak. At the same time, the muscles that are constantly used throughout the day become strong. This imbalance of muscle strength contributes to poor posture and chronic muscle tension. Left unchecked, muscle imbalances tend to get worse, not better, because of a phenomenon called "reciprocal inhibition." Reciprocal inhibition literally means "shutting down the opposite." For all of the muscles that move your body in one direction, there are opposing muscles that move the body in the opposite direction. In order to keep these muscles from working against each other, when the body contracts one muscle group, it forces the opposing group to relax - it shuts down the opposite muscles. When consistently only one set of muscles is used, the opposing group, from being continuously shut-down, is liable to atrophy. This phenomenon is especially important to people who work at a desk, because all day long the same muscles in the upper back and chest area of the body are used. This means that all day long the body is essentially shutting down the opposite muscles in the middle back. Over time, the muscles in the middle back become very weak because they are not being worked like the muscles in the front. This contributes to poor posture and chronic muscle spasms and pain. The easiest way to correct this imbalance is to do specific exercises which will increase the strength of the back muscles, along with manual therapy and chiropractic care. Once the muscles in your middle back are strong, the tightness and poor posture simply disappear.